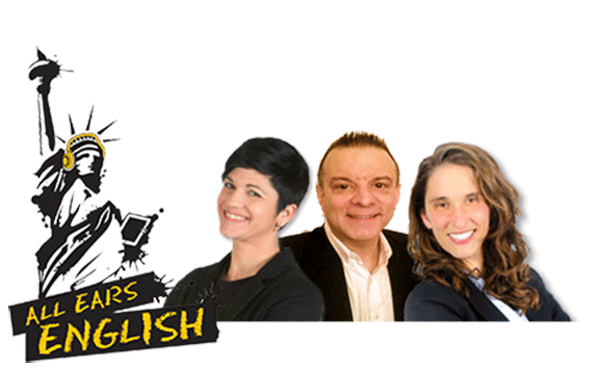 343 – IELTS Grammar Myths – Special Guest Jessica Beck! For today’s English lesson, we have a special guest – Jessica Beck from All Ears English who is going to talk to us about the IELTS Speaking section and what you need to know about grammar. On the IELTS Speaking test, you are graded on four things: Fluency and Coherence, Grammar, Vocabulary, and Pronunciation. All are graded equally. Your Speaking score is an average of these four things, on a scale from 1-9. Band 9- Can still have native speaker “slips”. Wide variety of sentence structures. Band 8- Most sentences do not have mistakes. Wide variety of sentence structures. Band 7- A lot of sentences do not have mistakes. Wide variety of sentence structures. Band 6- Lots of mistakes, but the examiner can still understand everything you say. Variety of sentence structures. Band 5- So many mistakes that the examiner can’t understand you sometimes and/or not a lot of sentence structures. Band 4- So many mistakes that the examiner can’t understand you sometimes and/or mostly simple sentences. Notice that you do not have to be perfect. You can still make grammar mistakes! Everyone does. All Ears English can show you how to get the IELTS score you need through their smart systems and strategies. Get their 7 Easy Steps to a 7 or Higher on IELTS now and get on the right track to pass your IELTS Exam!